Hi planner friends! I’m in a bit of a rush today because I’m getting ready to go to Florida in less than 24 hours for a much needed vacation 🏖. I’ve been traveling more than usual for work lately so the good news is that most of my things are packed (in other words, still unpacked from my previous trips 🤐). The bad news is that I’m jet lagged and I still need to do the laundry, make sure work-related issues are taken care of, etc. 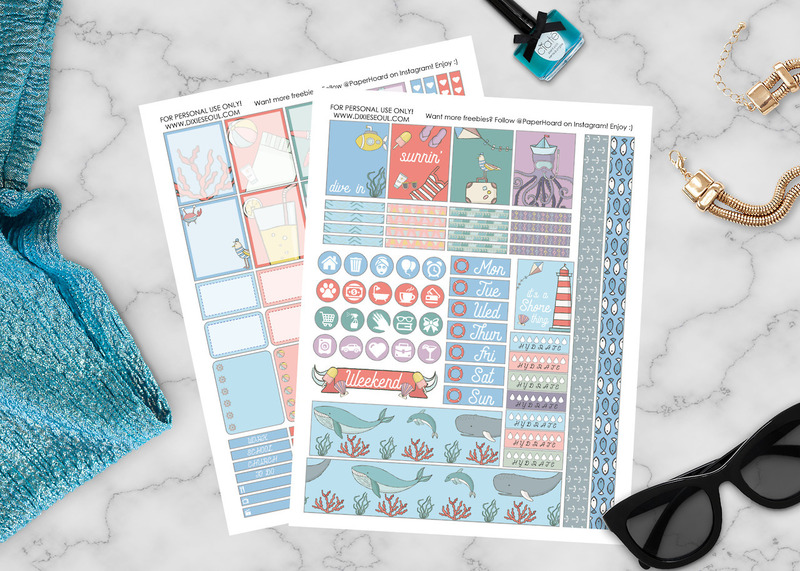 “Harbor Town” is the name of this week’s freebie kit and it’s… kind of ironic that I made this weeks in advance in anticipation of my trip. (Note to self: don’t book a trip to Florida during the rainy season ☔ ) Although it looks like I won’t have a chance to go sunning–because the forecast is saying no sun! 😞–, I can still plan like I’m chillaxin’ on the beach 😎. I hope you’re having a beautiful day, regardless of what the weather is like!